The best vacuum cleaner would depend on the best style of vacuum for your cleaning needs. First examining what you're cleaning, then you can proceed to which the best vacuum would be in that particular category. In Canister Vacuums we recommend Miele. In Upright Vacuums we recommend Riccar and Panasonic. In Bagless Vacuums we recommend Dyson. In Central Vacuums we recommend Beam. All recommendations are based on user feedback and the dependability of the products we see for service. What's the best Central Vacuum? In consideration of customer feedback and repair records we find Beam Central Vacuums to be the best value for the price. What's the best Canister Vacuum? Depending of the type of cleaning job there are many choices. For quick pick-ups on stairs, couches, cars etc, we recommend either Eureka or Samsung portable canisters. For bare floor only cleaning or entire homes we recommend either Miele vacuum cleaners or Riccar straight air canisters. For full sized units with Power Nozzles and added features for whole home cleaning we recommend Miele and Panasonic Power Teams. For Bagless Canisters we recommend the Dyson line-up. These are only our opinions based on customer feedback and repair records recommending what we feel give the best value. What's the best Upright Vacuum? There are several upright vacuums that we recommend. If you have a majority carpet cleaning requirement with some bare flooring, we would recommend the Riccar Uprights due to their superior airflow and canister like features for above floor cleaning. If it's all carpeting with some above floor cleaning, Panasonic has been our favourite for many years due to their durability and Tri Force agitators. In lightweight uprights we recommend the Oreck and Riccar Supra series. Both machines are under 8 pounds and clean better than many machines twice their weight. When it comes to bagless uprights, we only endorse the Dyson Uprights since they do what they say they do. How can I get rid of the smell coming out of my vacuum? The odours that come out of a vacuum cleaner are from the dust and debris that is in them. Frequent bag and container changes help this problem however when it comes to pet odours there are some alternate solutions. Charcoal filters if available eliminate foul odours from vacuums. Washing the inside of the vacuum cleaner monthly with an enzyme or natural based liquid like Freshwave works best for eliminating odors. The reason for the enzyme or natural based cleaners is that most air fresheners just mask the bad smelling vacuum leaving you with two bad odours. How often should I change my Vacuum's filter? Vacuum filters should be changed as suggested by the manufacturer. This can range from every six months to over a year. When in doubt, change the vacuum cleaner filter every year. Most vacuum cleaners use self-cooling motors which means that they use the air that's sucked in to stay cool. If the filters are clogged, the motor will overheat and greatly reduce the life span of the vacuum. What's better, an upright or a canister vacuum? We have canister models that clean better than uprights and uprights that clean better than canisters. The easiest way to answer this is the simple fact that they are made for different users. Upright vacuums are quick and easy since you plug them in and push them around in front of you. They are better for single floor homes and clean carpets better than bare floor. Canisters are more versatile as they have a broader range of attachments that will allow them to clean virtually any surface and reach just about anywhere. The biggest difference is that unlike pushing an upright, a canister is pulled behind you. What is a good vacuum for quick pick-ups? An easy vacuum for quick cleaning are the stick vacuums. Commonly known as stick vacs, they are designed for handling little spills where it would be a nuisance to pull out a full size vacuum cleaner. There are three styles available; corded, cordless and push sweepers. Stick vacuums with a cord will always have more suction than its comparable cordless model. This is due to the amount of energy it requires to generate good suction. Cordless models are more convenient because you don't have to worry about a cord. They are quick and easy. There are some newer cordless vacuums like the Dyson and Hoover Platinum that that have a Lithium Ion battery for extra suction and longer battery life. What is a good hand vacuum? A good hand vacuum is a corded unit because it requires more energy to generate lots of suction. The cordless models will have less suction but are more convenient. If choosing cordless, look for a vacuum with a lithium ion battery for added suction and longer battery life. How good are central vacuum systems? Central vacuum systems otherwise known as built in vacuum systems are one of the most powerful ways to clean. As long as the size of motor is adequate for the size of home you can have more suction than most portable vacuums can offer. Central vacuums sometimes take getting used to because instead of pushing and upright or pulling a canister you pull a 30' hose. Since the canister sits on the wall, they don't take any physical abuse therefore last longer and hold more dirt. A popular addition to a central vacuum system is the Vac Pan which is a floor mounted dust pan style inlet. These are a great in the kitchen or mud room for sweeping dust right into your system without having to use the hose. A few things need to be considered to determine life of a vacuum. Price point, origin of manufacture and proper maintenance will all affect life expectancies. The less expensive vacuums tend to last less than five years while the more expensive German made vacuums can last up to twenty years. Manufacturing quality including plastics, motors and hoses also determine whether repair vs. replacement is required and when. General maintenance like bag, filter and belt changes are likely the largest determination of how long machines will last. 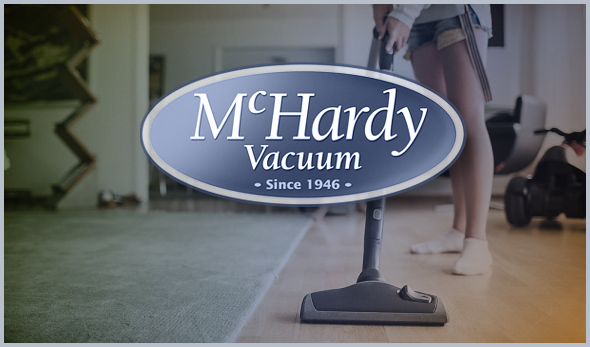 Feel free to ask us the life expectancy of any vacuum of interest and we can tell you how long it should last considering the above factors along with hours of use per week, pet hair, type of carpeting it's used on, as well as many other high traffic conditions. What is a good vacuum that doesn't leak dust? In order for a vacuum not to leak it must be sealed in all areas where the dirt passes. Common leaks occur where the hose connects to the vacuum, around the bag door / bagless dirt cup and around the exhaust filter. Dyson and Miele vacuum cleaners are known for being fully sealed and therefore have the lowest dust emission ratings on the market. How can I get rid of bad vacuum odour? Bad vacuum odours can be a nuisance for many people especially those with pets. We found that many products simply mask the odours which just add a perfume to the bad smell. That usually smells worse than the original odour. First you must get to the source of the odour by changing the bag and filters. We then suggest deodorizing the vacuum with the Fresh Wave line of odour eliminating products. Adding Fresh Wade odour neutralizing pearls to the vacuum bag or bagless dirt cup will do the most. Before you do that we suggest cleaning out the bag or bagless compartment with the Fresh Wave odour neutralizing liquid. Many odours linger in the plastics of the vacuum. My vacuum doesn't pick up as well as it used to - should I replace it? Vacuums have parts that wear with usage. The first place to look is at the bag/filtration area. Clogged units have very low airflow and if the air isn't flowing, neither is the dirt. Secondly, agitation accounts for better than 40% of a vacuum's cleaning ability on carpets. Belts need to be changed annually while agitator brushes or the brushroll brushes should be changed every five years. Any of these items will greatly affect the performance of your vacuum. Is 12 amps good suction? A 12 amp rating on a vacuum cleaner simply states the average amperage rating used by the electrical components of the unit. Amperage has nothing to do with suction therefore we suggest checking out our ratings guide indicating the cleaning performance of different vacuums. How good are Dyson vacuums? In our experience, Dyson vacuum cleaners are the best bagless vacuum available. We have yet to test a bagless vacuum that filters as well as they do. Are Dyson vacuum cleaners really as good as they say? "They" are usually the marketing companies that like to make any given brand look great. Dyson, unlike many others we see can actually stand behind everything “they” say about themselves. Through our testing and customer feedback we fully endorse the Dyson Vacuum Line-up as being as good as “they” say it is providing usage and proper maintenance is carried out. What is the best vacuum for pets/pet hair? There are several considerations for cleaning pet hair starting with a larger capacity bag or bin which will cost less to run. If cleaning carpets a revolving brush is required. Stiffer bristles on bare floor brushes work better on pet hair but most of all filtration is a key factor. If a vacuum has poor filtration and is cleaning large amounts of pet hair the life of the motor will be shorter. This will also lead to very strong pet odours emitting from the vacuum. This is usually taken care of with an optional charcoal filter. What is a good light weight vacuum? Uprights are generally easier to use because they are pushed in front instead of pulling them. A popular easy to use vacuum is the Oreck. They don't come with bulky attachments and they balance well so the majority of the weight is on the floor instead of in your hand. This makes them very easy to push around. Stay clear of electric broom type vacuums for cleaning a whole home, these are designed for quick cleanups only. Are bagless vacuum cleaners the way to go? Bagless Vacuum Cleaners (like any other) have their pros and cons. We suggest looking at the following criteria. Are you allergic to dust? If so, you may have problems dumping the container vs. removing a bag and throwing it away. Do you have pet hair and how would you find it easiest to dispose of? Are you willing to pay for a good quality bagless vacuum? If not, the less expensive bagless units tend to leak a lot of dust and have very short life spans. If you're not getting eight years or more out of your vacuums, you are not buying the right units.